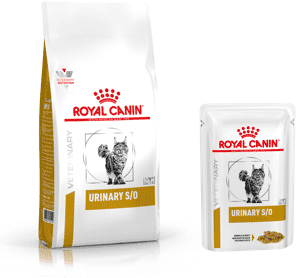 Lee Danks in the 9th in his series for Royal Canin examines the two main components of any diet. NO BONES ABOUT IT, these are back-to-basics nutritional concepts. They are important not only because they define the philosophy of many pet food brands but because the difference between a nutrition-based and an ingredient-based approach to food often drives the way in which the owners we see choose to feed their pets. Whether acutely aware of it or not, frequently these concepts influence the way in which we keep our pets alive on a daily basis. The title “debate” infers polarities between these two approaches, which is an easy trap to fall into where the choice of what to feed your pet is often a personality-driven or emotional choice. This article will explore the inter-relationships between ingredients and the nutrients they deliver. Firstly, a nutrient provides nourishment for the maintenance of life and growth; a nutrient helps support life. Where an absolute requirement cannot be synthesised de novo within the animal, a nutrient is labelled as “essential”. Cats and dogs require about 40 essential nutrients in what has collectively been defined as correct amounts in order to be labelled as “complete and balanced”, meaning: able to be fed as a sole food source for the indicated species and life stage. Each nutrient contributes to the above functions to varied extents and can be allocated to one of six categories including vitamins, minerals, fat, protein, carbohydrates and water. The example of water contributes to all functions except the provision of energy. The initial need to expand upon our understanding of nutrients was born of the recognition that animals in a state of reproduction or growth have unique requirements. One only needs to glance at the above functions once more to know that the developing body behaves in a vastly different manner to the adult one. It’s through decades of accumulated knowledge that we continue to understand the role and interaction of each nutrient, but this awareness means that historical diseases such as nutritional secondary hyperparathyroidism, taurine deficiency, hypervitaminosis A, eclampsia, etc., are rarely seen in practice today. The next step in precision is to provide dietary intakes which benefit each individual’s health, as a function of not only their unique age or reproductive status, but looking to breed characteristics, activity levels, lifestyles and idiosyncratic sensitivities. This can be explained using a “jigsaw” analogy, where each piece represents a nutrient. A complete puzzle is a complete and balanced food. No matter what approach to feeding we choose to take, the minimum number of pieces in a “dog puzzle” should be 37 in order to deliver what that individual needs. Completing this relatively small puzzle is the bare minimum we should do when fulfilling our obligations in protecting the welfare of this dog. We can look at the example of an eight-year-old neutered male Boxer. He has an ambiguous history of unconfirmed pancreatitis and an undying preference for wet foods over dry. Suddenly (if we choose to see it), this dog’s puzzle has become much larger and the pieces ever more difficult to t together. That is, many more nutrients have come into view as able to influence the medium and long-term health of this individual. At first glance the stand-out puzzle pieces are fat, protein, water, sodium, EPA and DHA, L-carnitine, taurine, branched-chain amino acids, phosphorus, and vitamins C and E.
You can see that with increased knowledge of which nutrients are indispensable and which might be deleterious to this dog, we can swiftly approach what we call “individualised nutrition” using a meticulous nutrients approach to the point where this Boxer’s virtual “jigsaw” is 60 or 70 or more pieces in size. When precisely manipulating the levels of over 70 nutrients, one must truly start to respect the science behind diet formulation, which is where ingredients come in. We are all familiar with ingredients lists, an essential element to food packaging. Cat and dog food have “composition” lists whereby raw materials are listed in order of decreasing weight using the “mixing bowl principle”: at the weight they were included in the original recipe, not on a dry matter basis which causes no end of confusion. It’s easy to take an anthropomorphic view of ingredients, relating ingredient lists to the palate and digestive system of the human. 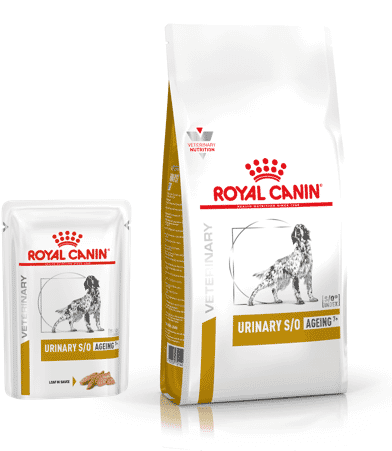 According to the National Research Council’s Nutrient Requirements of the Dog and Cat, this view can compromise precision and disregards the animal’s real needs. Flavour and variety descriptors most often use ingredient names, generally implying that one descriptor renders greater benefits than another, most often based on taste but very commonly because of inferred influences on health also. Be aware of the true implications of eye-catching communications, however. The term “with xxxx” on a pet food product means that 4% of pre-cooked recipe weight needs to be of that ingredient. Similarly “rich in yyyy” denotes 14% pre-cooked weight. Note also that these “with” or “rich in” markers aren’t reference to the exclusion of other ingredients. For example, “with chicken” doesn’t mean the diet doesn’t contain lamb. Indeed if there is equal amounts of lamb and chicken in this product, a manufacturer may market the same product in completely different manners. If our aim is to exclude a particular ingredient or source of allergen, particularly when seeking an elimination diet, the ingredient or composition list should be seen as a better reference than a product name. In these instances we should delve further into a diet’s production qualities also, and the exclusion of potential contaminants. Two variations on the ingredients philosophy are the “presence of” or “absence of” approach.3 As above, the former infers a beneficial effect with the inclusion of an ingredient. Either major or minor ingredient inclusions can be called out (“with beef” or “cranberries”) and these often draw on widely held notions which may not always render benefits. We may be easily swayed by the perception that “all cats like sh”, for example, and make purchasing decisions based on the presence of this ingredient rather than their true need for a balanced intake of amino acids. The “absence of” approach infers that a risk is associated with the intake of a named ingredient. Once again, this form of negative marketing draws on (and perpetuates) suppositions which might not hold true for the majority of pets. “Gluten-free”, “grain-free”, “preservative” or even “additive-free” messages can be very powerful to the misinformed. I myself would much rather feed my cat a product which contains ingredients which keep the diet from turning rancid, improve palatability and ensures the nutritional balance I have paid for is delivered to the bowl. The resounding fact is that given our own dietary preferences for one or another food component, making a choice on pet food based on ingredients is completely relatable. But animals require nutrients, not ingredients. Ingredients are the means to achieve the nutritional and palatability goals of a product. The two concepts are not diametrically opposed, they’re intricately related and in the ideal world both ingredients and nutrients should be realised as contributors to the same drive: to feed pets to the best of our ability. With thanks to Rosie Mann for proof reading this article. 1. Kienzle, E. and Hall, K. (1994) Inappropriate Feeding: The Importance of a Balanced Diet. In: Wills, J. and Simpson, K. (eds), The Waltham Book of Clinical Nutrition of the Dog & Cat. Oxford, Pergamon, pp1-14. 2. Grandjean, D. and Butterwick, R. (eds) (2012) Waltham pocket book of essential nutrition for cats and dogs (2nd edition). 2. Maidenhead, Beyond Design Solutions. 3. Gross, K., Wedekind, K., Cowell, C., Schoenherr, W., Jewell, D., Zicker, S., Debraekeleer, J. and Frey, R. (2000) Nutrients. In: Small Animal Clinical Nutrition (4th edition). 3. Hand, M., Thatcher, C., Remillard, R. and Roudebush P. Kansas, Mark Morris Institute, pp21-107. 4. National Research Council (2006) Nutrient Requirements of Dogs and Cats. The National Academies Press, Washington. 5. PFMA (2015) Ingredients Factsheet [online]. Pet Food Manufacturers Association, http://www.pfma.org. uk/_assets/docs/fact-sheet/PFMA-fact- sheet-pet-food-ingredients.pdf [accessed 17/09/2016]. 6. Paragon, B. and Vaissaire, J. (2004) ‘Nutrients’ Approach and ‘Ingredients’ Approach. In: The Royal Canin Cat Encyclopedia. Aniwa, Paris.